Let us know what products and services you are interested in as well as any questions and concerns you have. 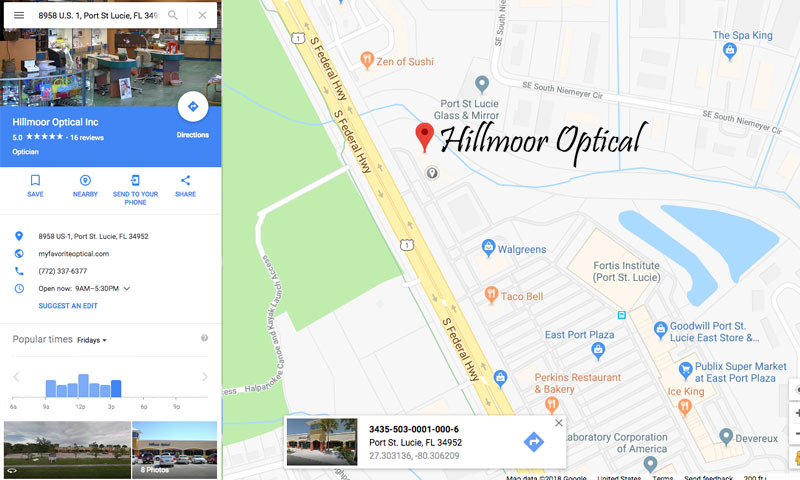 We are dedicated to meeting your needs with the highest quality optical products and vision care. Your vision is our passion! Saturday 9 a.m. – 1:00 p.m.
Click on the map for driving instructions. 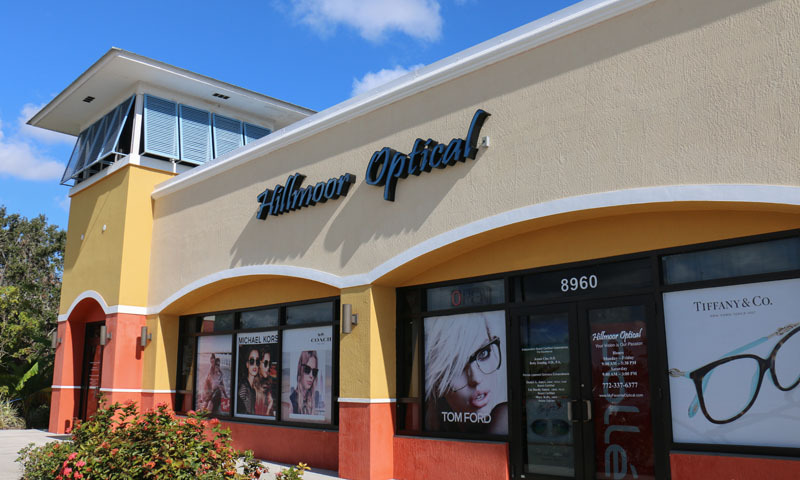 Hillmoor Optical is committed to providing the finest quality optical products and vision care to the residents of Port St. Luce and St. Lucie County, including the cities of Vero Beach and Fort Pierce, offering quality eyewear and eye care, including prescription eyeglasses, sunglasses, eyeglass and sunglass frames, progressive lenses, transitional lenses, polarized lenses, contact lenses and complete eye exams and contact lens fitting at affordable prices with a licensed optician and board certified optometrist on site at our family owned business.